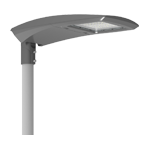 Take up of LED lighting this in a rapid rise in industrial sector, as more and more companies reap the custom energy saving benefits of the latest technology. Warehouses with their high ceilings, large spaces, narrow aisles can be challenging spaces to light. 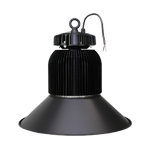 What should you be asking your supplier to ensure the lighting is correct for your application. 1 Well firstly, beware of glare. Keeping the layer to a minimum is important in any workplace, setting eyestrain headaches fatigue are all potential side effects of light that dazzles, but in high-risk environments such as warehouses where staff are operating machinery looking up at hyrax a momentary loss of visibility caused by glare could lead to serious accidents. In lighting products, glare is rated according to the unified glare rating. Lens design is also vitally important for both efficiency and glare free operation, but the right option varies depending on the particular application from open earlier wide-angle lenses to high racking narrow aisle limited. 2 Next, the importance of color temperature in warehouse environments. Staff up and work on social hours under artificial light. The color temperature of your lighting which determines whether the lighting gives up a warm or a cold appearance can make a big difference the look and feel of the space. And can even affect staff well-being and productivity, an LED products color temperature is measured in degrees Kelvin 3500k to 4000 k gives quite a comfortable white color, is a good option for spaces where staff are working for long periods of time. 3 Look at the light distribution. Even light distribution is a key health and safety consideration. High ceilings narrow aisles in warehouses means it’s particularly challenging for light to reach all the areas, but the consequences of a dark or dimly lit workplace can cause accidents and picking errors. Good product designer collection as well as good instill is important here. 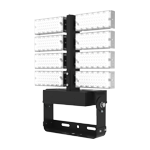 Choose a product that’s designed to ensure precise optical control of the light distribution. 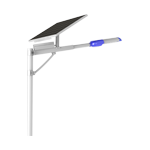 A narrow beam angle will illuminate narrow aisle spaces efficiently without wasting any lights. Products with wide beam angles are best suited for open areas. 4 Take control of the light. The lighting is only ever as good as the control and the most efficient light is the one that switched off. Just use an occupancy sensors to dim or switch off lighting when there’s nobody in an area can reduce the electricity consumption by around thirty percent of corn to the carbon trust. Harvesting daylight which adjust the artificial lighting the coordinate the amount of natural light can reduce electricity by up to forty percent, but not all LEDs are created equal. 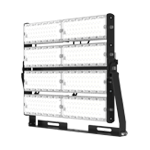 In product research and development means that LED technology is better than ever. 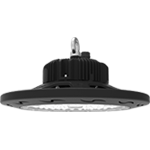 Quality LED products now outperforms, traditional metal halides and sodium lighting usually found in industrial settings. However, the rapid growth of this market have seen the sector flooded with new suppliers looking to cash in on the trend, some of these suppliers are less than scrupulous and product quality can vary widely . As well as asking for client references for your supplier, another way to tell whether a product will stand up to it claims is to ask about the components. SOMPOR only use quality branded components. 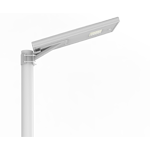 The industrial lighting products like LED warehouse lights, LED flood lights and LED street light include PHILIPS LED chips, meanwhile drivers. 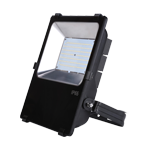 The latest LED technology chips are extremely efficient giving around 150 luminaire lumens per circuit what. If you want to learn more about the best solution for warehouse and factory lighting, comes out the team at SOMPOR for honest impartial advice you.